Ever wanted to sound more like a native speaker, but don’t have ten thousand hours to spend? 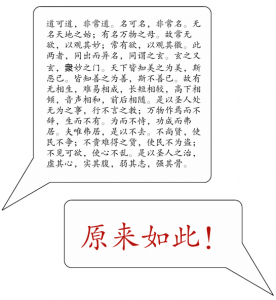 In this guest article, David Moser shows how to effectively fake your way to better Mandarin. David holds a Master’s and a Ph.D. in Chinese Studies from the University of Michigan, with a major in Chinese Linguistics and Philosophy. He’s currently Academic Director at CET Chinese Studies at Beijing Capital Normal University. His previous contributions to Hacking Chinese include The new paperless revolution in Chinese reading. This article was originally written a long time ago, but in the post-truth world we live in, faking is more in vogue than ever! I’ve often puzzled over why my Chinese at first leaves so many Chinese with this impression, and I’ve come to some conclusions that I am willing to share with the world. The following are techniques that I seem to have unconsciously developed over the course of the past few years for the purpose of fooling Chinese people into thinking my Chinese is perfect. Some are merely rules of thumb I apply in conversations with Chinese people. (As I once said to someone, “In speaking a foreign language, I’m all rules of thumbs.”) I am not the first to discover them, but I may be the first to openly admit to using them. I’m joking, of course. This is similar to Steve Martin’s fake TV ad: “YOU CAN MAKE A MILLION DOLLARS AND NOT PAY TAXES!! How, you ask? It’s easy! First, get a million dollars…” But seriously, you do have to learn the language, of course, and a good accent is the first requirement, since it will get you 90% of the way. If your pronunciation — especially the tones — is accurate, they will be willing to ignore glitches in grammar and bizarre lexical choices. Reasonably good pronunciation will lull them into a relaxed, uncritical mental state. Delaying conversations until the baijiu they are drinking kicks in is also a good strategy. Don’t go out on a limb with complex, novel utterances. Stick to short phrases you’ve said a thousand times and are quite sure are idiomatic. Try to string these together into something coherent. Gary Cooper, not Proust. If you do this, people will assume your reaction time is naturally slow. You don’t have to appear dense (though this has advantages), but it pays to have people assume you’re the type who contemplates each utterance carefully before speaking. This gives you time to think carefully about what you want to say. It also gives the other person time to remember they have a plane to catch and to walk away from you completely, keeping your reputation as an awesome Mandarin speaker completely intact. These are things like, “Oh, how can I put it?…”, “Perhaps I can put it this way…”, and “Oh, what should I say?…” This will give you time to formulate responses and retrieve rusty lexical tools from the toolbox. The listener has no access to what’s going on inside your head, and for all they know you really are searching through a vast list of words, looking for le mot juste that will perfectly express the subtlety of your position. Of course, this device should not be over-exploited, or used at inappropriate times, otherwise you’ll blow your cover. Don’t say, “Hey, could you please hand me the… oh, how can I put this into words?… the salt?” This will give the game away. What you do is to simply hesitate before uttering some crucial word, a word which you may not be sure of, but which should be obvious and highly active in the mind of a native speaker based on the context provided. The listener, perfectly aware of what you want to say and impatient for you to get on with the conversation, will prompt you or provide you with a usable word. Try to time it so that you repeat the word a split second after they say it, so that it seems as if you, too, were about to say that word. This will make them feel good, because it will make them feel their reaction time is quicker than yours, and will make them feel more an active participant in the discourse. People love it when you make them feel smarter than you. Never mind if it really expresses what you had in mind. If it’s anywhere close in semantic space to your meaning, use it. This will win you many, many points with Chinese people. They will be amazed that you know such an idiom or usage, since they tend to believe their language is absolutely impenetrable to foreigners, and that Chinese are genetically hard-wired to recognize characters and parse classical Chinese. 7. If someone thinks you have somehow said something brilliant and insightful, do NOT disabuse them of this notion. Strange things can occur during a conversation, and it might just so happen that, in some flailing response to a question, you actually stumble upon a sentence that seems to suggest sage-like insight into the topic at hand. Give punchy, black-and-white answers to questions, regardless of the complexity of your true opinion. If someone asks, “What did you think of the movie?”, you may be thinking, “The cinematography was fabulous, natural-light interior shots with exquisite Vermeer-like shades of luminescent white – a pastel symphony! The acting, however, was wooden and strangely mechanical, though the woman who played the young daughter acted her role with a kind of crazy intensity that literally propelled the movie forward to that frenzied conclusion that left me drained emotionally. She also had a quirky sexiness that kept my eyes riveted to the screen. The guy sitting next to me was literally drooling into his popcorn…” and so on. The listener won’t have any idea what you really thought of the movie, but they will be impressed with the casual ease with which you express your opinions in Chinese, and will be amazed that you know phrases like “just so-so” and “I could take it or leave it”. Well, there are a few more tricks I use, but these will give the learner a good start. My next few instalments include “How to Fake Playing the Brahms Piano Concerto no. 2 in D minor” and “How to Fake Being the President of a Superpower Nation”. While it’s obvious that this article is written tongue-in-cheek (just like Why Chinese is so damn hard), much of the advice here is actually sound even if you don’t want to fake it. Personally, I think that learning filler phrases is extremely important to sounding fluent, and I must admit I sometimes also allow other speakers to fill in the word I’m looking for, which might make me appear to know more words than I do. What tricks do you use to appear more advanced than you really are? This is brilliant! I really do think that it will help on a practical level. I often try to express the intricacies of my thinking but at my limited level, I’m left to use Chinese words in an American sentence and it showcases my ignorance. Speaking slowly and simply like a Sage not only would allow me to construct a better sentence but it would be good for my ego to not have to be the one expressing all the time- maybe if I shut up I could learn something! Ooh, I love the slam of Trump at the end of an otherwise 100% non-political article. Well-done! If you believe the allegations against Trump, but you didn’t read a single Wikileaks email, the establishment has successfully brainwashed you. Remember when Dan Rather got fired for reporting on documents he couldn’t authenticate? The sad and/or scary part is either the intelligence agencies knew it was fake news and went with it anyway, or they are too stupid to track it back to 4Chan. Either way it stinks. I asked my 12 year old, “What is 4 Chan?” She said, “Don’t go there.” I wish the intelligence community had the discernment of your average American 12 year old. That is really nice! Thanks, I am going to incooperate some of those tips for sure. and of course if you know a phrase or two in the local dialect, by using them you will instantly gain the reputation of being able to speak the local dialect! Would someone mind giving some actual examples in Chinese of the phrases in Number 4 or a place I can learn them？I think they would be really helpful but I don’t know what the correct translations are and i’m hesitant to fully trust google translate. Yeah, I realised that when I edited the article, but it was too late to come up with a decent list then. I have an article about this in the works, but might take a while. Thanks for pointing it out! This made me laugh out loud, I love it! Sounding slow and dense, losing subtlety and letting people think my Chinese is much better than it is are all things I’ve done before! I also think the context people see you in also makes a big difference. For example, I’d been trying to make conversation with my Chinese hairdresser for ages and he barely seemed to register I was trying to speak Chinese yet when he met my Chinese husband he suddenly assumed I spoke perfect Chinese and wouldn’t stop chatting to me!